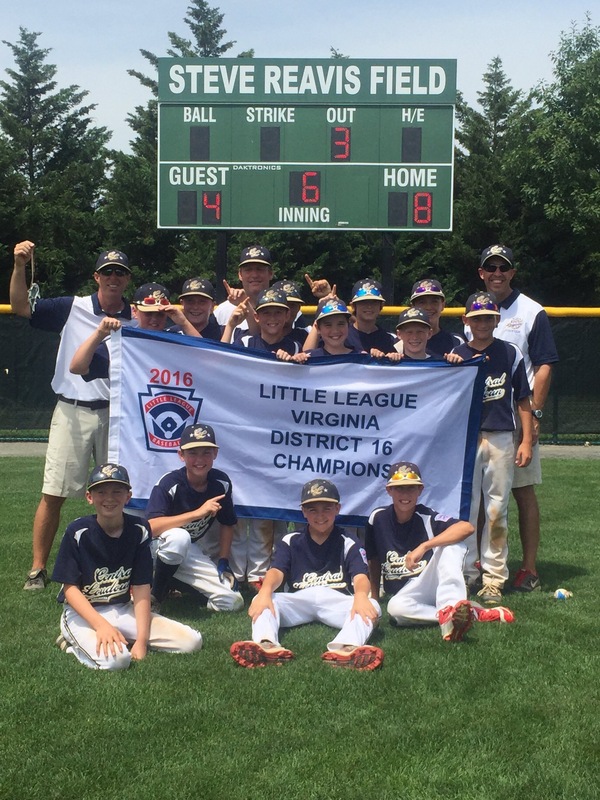 Congratulations to Central Loudoun Little League American, your VA District 16 Little League Baseball Champions! CLLLA will represent our district at the Virginia State Little League Baseball Tournament in Norfolk starting July 22. Hosted by Central Loudoun Little League at Freedom Park in Leesburg. The Tournament Director is Paul Karg.